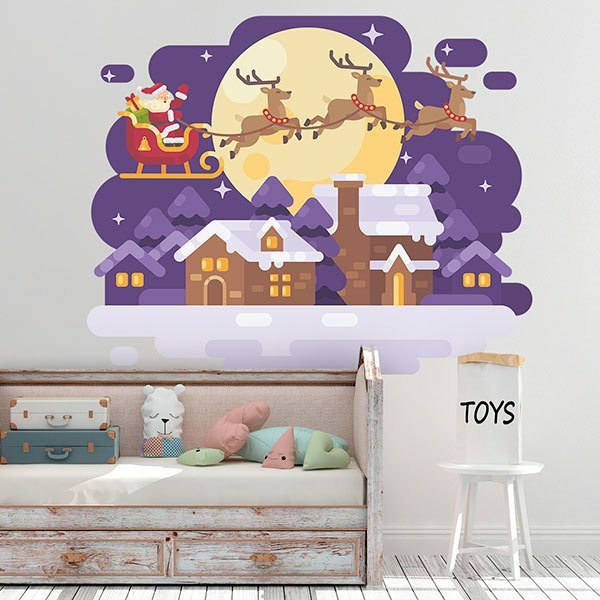 Kids wall sticker Santa Claus and his sleigh. 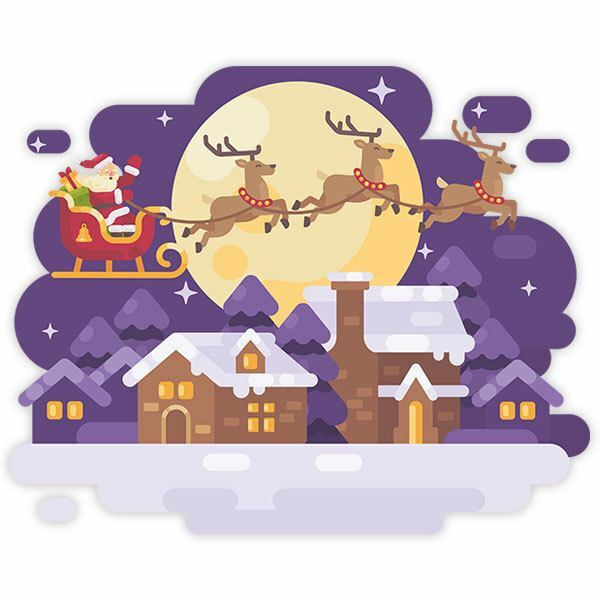 Santa Claus greets us from his sleigh pulled by his magical and inseparable reindeer. It is a full moon night and there is snow on the roofs. The night of December 24th to 25th is magical as Santa visits the houses leaving gifts for the children. Size: 37 x 31 cm. 15.75 x 12.60 in. 19.69 x 15.75 in. 23.62 x 18.90 in. 27.56 x 22.05 in. 31.50 x 25.20 in. 35.43 x 28.35 in. 39.37 x 31.50 in. 43.31 x 34.65 in. 47.24 x 37.80 in. 51.18 x 40.94 in.